PTU-302 Universal Serial Bus 3.0, 2 port host Adapter. 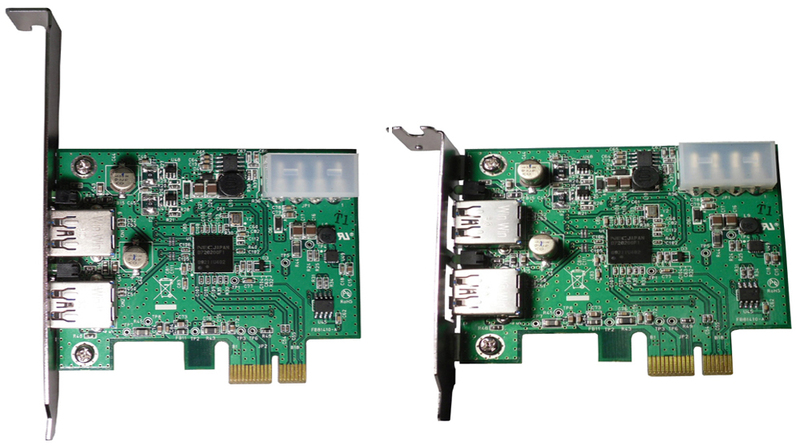 Complies with Universal Serial Bus 3.0 Specification and Intel’s eXtensible Host Controller Interface (xHCI). Works up to 5 Gbps for data transfer when connecting to USB 3.0 compliant peripherals, while maintaining compatibility with existing USB peripheral devices. * Supports external power socket in order to supplying power for each USB 3.0 Connector up to 900Ma Max / port.